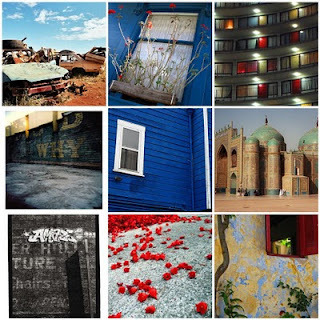 As an avid amateur photographer and darkroom devotee in my San Francisco days, I participated in group shows at the Art Explosion, Aspect Gallery, the Harvey Milk Photo Center, Nocturnes.com, the Rickshaw Stop, Rock Paper Scissors Collective, SF Black + White Gallery, and STUDIO Gallery. 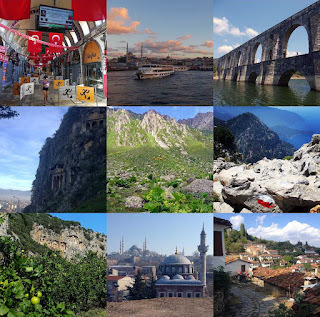 My news and travel photographs have been published by CityLab, Culinary Backstreets, Equal Times, Lonely Planet, the San Francisco Bay Guardian, Sierra, Thomson Reuters Foundation, Time Out Istanbul, Women's eNews, and Zester Daily. You can see more of my images on Instagram and Flickr. "Flying" named one of the "Top Wired-Reader Amusement-Park Photos"
"One Tree" included in GOOD's "Crowdsourced Exhibit, Street Art Worldwide"
"Beachside Memorial" used on the cover of The Brute Chorus single "(This Christmas) Come Bury Me In Hawaii"
One of my photos was published in the book Divine Inspiration - Seven Principles of Islamic Architecture (Islamic Arts Museum Malaysia, 2008).